Manufacturer and exporter of canvas bags. 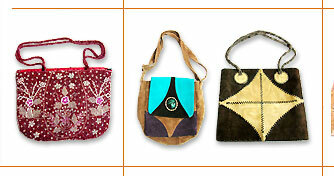 Arts N Craft are leading manufacturers and exporters of canvas beach bags. Megaa Bags are manufacturers and suppliers of all kinds of poly bag, multiwall bag, woven bag, leno bag, bulk, container, bulk handling, jumbo bag, big bags, flexible intermediate bulk container, etc. Bramah Impex is a professionally acclaimed organisation that excels itself in the manufacture and the export of the exquisitely designed beaded backpack bags. We are leading manufacturer trader & exporter of jute bag & cotton bag etc. Engaged in manufacturing and supplying of backpack bags, beach bags, beach jute bags, fashion canvas bags, canvas shopping bags, shopping bags, beaded bags, canvas bags, fashion bags, jute bags, advertising bags, beaded handbags, fashion handbags. Involved in manufacturing and exporting of embroidered bags, cotton bags, jute bags, fashion bags, ladies bags, designer bags, evening bags, decorative bags, spring bags, beaded bags, painted bags, handbags, fancy bags, fashion ladies bags, etc. Manufacturers, suppliers and exporters of shoulder bags, beach bags, festive occasional bags wide range of fashion and designer bags including ladies hand bags, printed bags, jute fashion bags, union fabric bags, jute pouches, jute leather bags.